How Do You Plant Bay Trees? When ﻿D﻿o ﻿Y﻿ou ﻿P﻿rune﻿B﻿ay ﻿T﻿rees? What ﻿C﻿an ﻿B﻿ay ﻿T﻿rees ﻿B﻿e ﻿U﻿sed ﻿F﻿or? In essence, bay trees are a type of evergreen shrub originally from the Mediterranean. They are distinctive for its dark green leaves and purple berries. Bay trees give off an aromatic smell, and also commonly known as “laurels.” Historically-speaking, they have been especially used in Greek and Roman societies. Planting bay trees is super easy. You can do it one of two ways: either obtain the seedlings or cuttings. 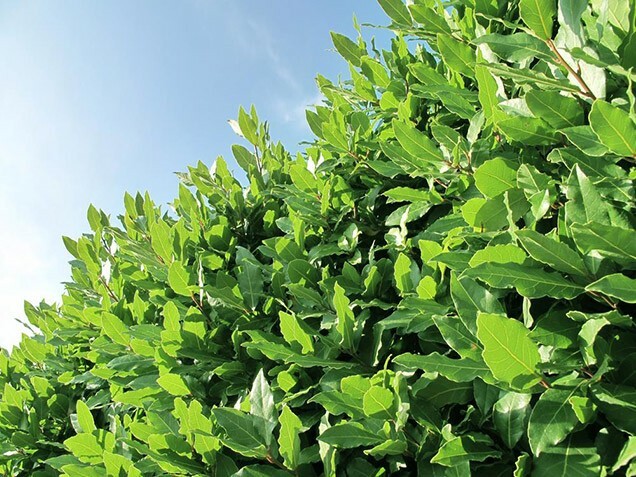 The former can be purchased at any home and garden store while the latter requires that you take it from a mature bay tree and then cultivate it in hormone-cutting mix, which can take several months to show results. Afterwards, you have the option of planting the cutting in a container or a garden. Springtime is the ideal time of the year to plant it, and make sure right type of soil that it grows in well-drained soil, as well as cool to warm climates with blockage from the wind. Bay trees need regular watering, but in between time to dry as well. Make sure to give mulch to the tree, as well as fertilize it every spring. Prune from time to time, and you will know when the bay trees are ready to be harvested when you can smell the aroma. There are best picked early in the morning, when the aroma is especially fresh and strong. When Do You PruneBay Trees? When it comes to pruning bay trees, do so modestly. Normally, bay trees do not need heavily pruning, just an occasional snip from time to time. 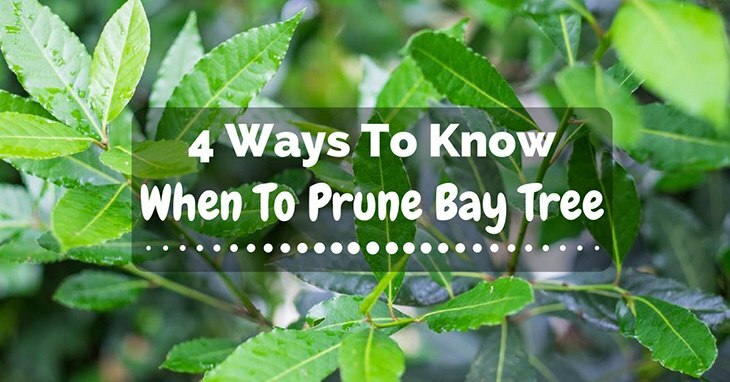 The best times to prune bay trees are between late spring to mid-summer. Usually, it is ideal to prune the suckers off the bay trees, which tend to overgrow and sometimes might not successfully merge with the rest of the branches and trunk. As a result, it can cause some overcrowding and inadequate growth of the bay tree itself. That said, it is important to use sharp pairs of pruning tools to cut off the suckers, as means of keeping the bay tree clean and healthy-looking. 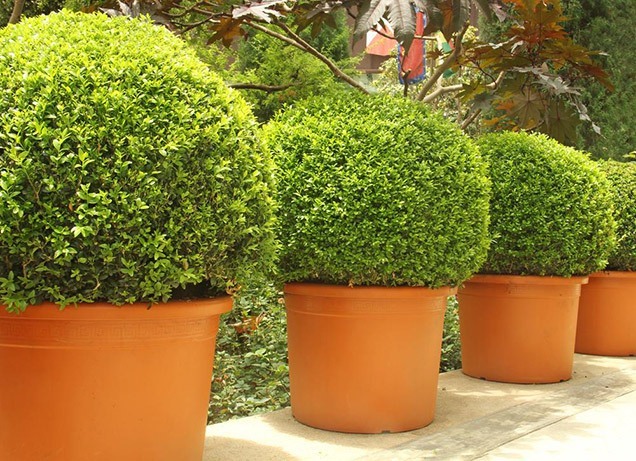 At the same time, however, we advise you not to throw away the suckers, since they can be used to propagate, or otherwise grow, more bay trees for your garden. However, if it is necessary that you heavily prune your bay tree, then also be well-aware that it can take several years (about three to four) for them to grow back to their original shape. Some people might choose to make it into a lollipop shape for aesthetics, and that in itself can take some years to grow back. That said, it is important that you know the consequences of pruning excessively. Granted, the bay tree is hardy and able to take a heavy pruning, but also is slow to regrow, so keep that it mind next time you decide to prune it. What Can Bay Trees Be Used For? Since bay trees were so commonly used during the Greek and Roman times, the tradition carries on in that such plant’s leaves can be picked and turned into laurel wreaths for aesthetic decoration, whether as a crown or as an ornament to hang on the door. The leaves can also be dried out and used as herbs for many different recipes, and you can also use the wood to carve and shape it into a walking stick. Considering that there are so many uses for this otherwise versatile tree, why not take full advantage of its resources? Who knows- it can serve you well someday! Overall, bay trees are an excellent plant to have around your house, for they are not only super fragrant, but also aesthetically-pleasing to be used as accessories and herbs for your home. Try it out today!